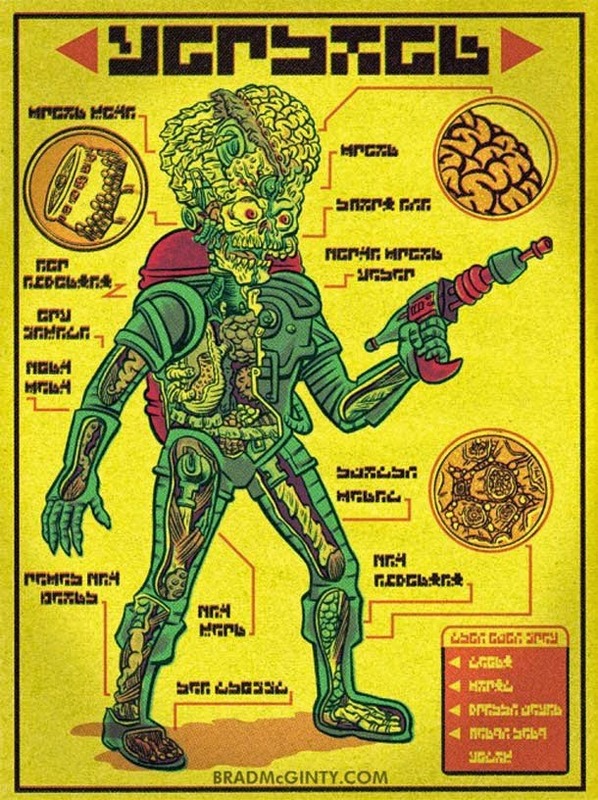 Brad McGinty creates these pictures of internal organs of Famous / Cult Film Monsters, which include films like Gremlins, Terminator, Aliens and Mars Attacks. 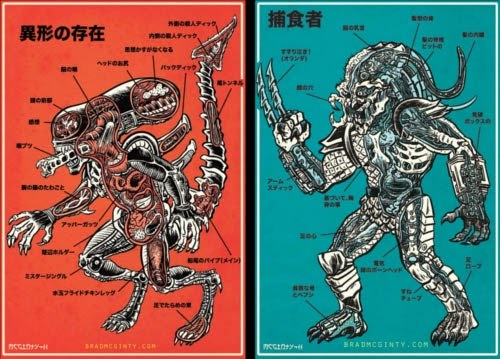 Look at the Images for more information about the Monsters. McGinty promises to send a translation of the labels, if you buy the prints, which were originally translated with Google. He says they are quite funny (if you know what they mean maybe you can put some of them, in the comment section at the end of the article). To get the best effect, once in the article you can enlarge the image by pressing it (not the first one). 1. Never expose it to bright light (Sunlight can kill them). As we said Above if you don't follow the rules this is what you get. A Gremlin is a Mogwai gone bad. The first film was made in 1987 and starred Arnold Schwarzenegger. 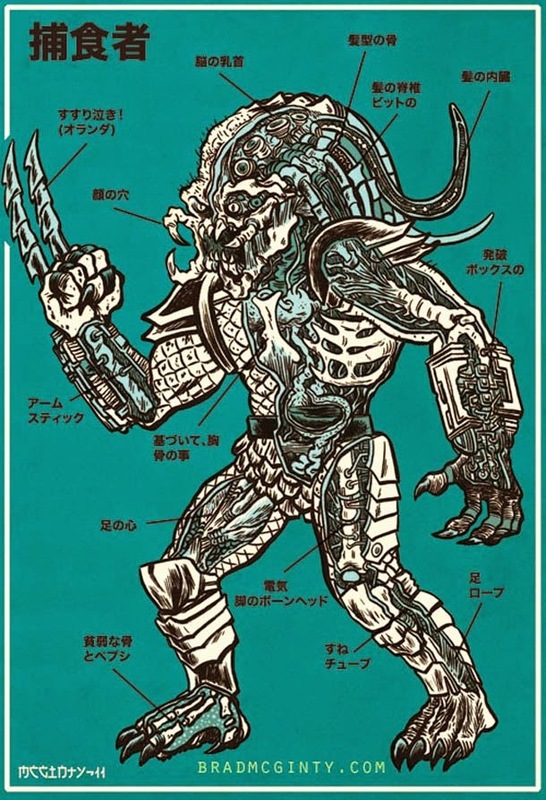 The race of the Alien that hunts and kills their pray for sport is never given a name, they are just referred as a Predator. 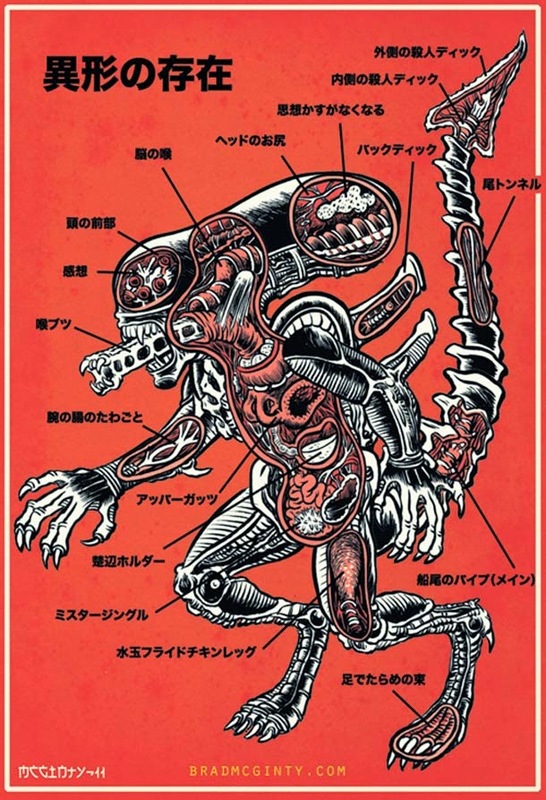 The first film was made in 1979 and starred Sigourney Weaver. 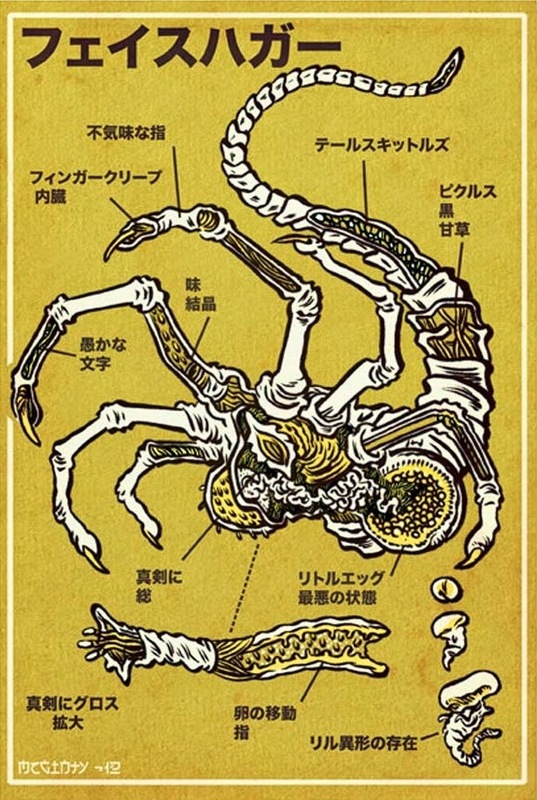 The Alien goes through 2 transformations, it starts in an egg that is laid by the Queen, once they encounter a life-form that can incubate their next incarnation, they bust out of the egg (the alien above is what comes out of the egg) and plant the larvae in to the life-form. When it hatches for the second time, it bursts out of the life form and you get the monster below. This is the fully developed monster you get after 2nd incubations. The film came out in 1996 directed by Tim Burton with a big stellar cast including Jack Nicholson, Pierce Brosnan, Sarah Jessica Parker and many more.